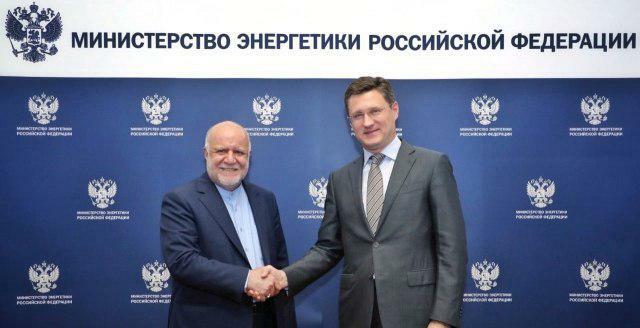 Iran’s petroleum minister, in an unannounced visit to Moscow, reached a deal with the Russian energy minister on a 1-million-bpd increase in oil output through joint efforts. Bijan Namdar Zanganeh arrived in Moscow on Monday night, and sat down with his Russian counterpart Alexander Novak behind closed doors. Following the meeting, the Russian Energy Ministry stressed the sides are determined to show themselves ‘as responsible participants by boosting production by one million barrels daily through joint efforts. “The issue of meeting growing demands for energy resources across the globe and prevention of oil market ‘overheating’ is on the agenda. We hope to stabilize the market and show ourselves as responsible participants by boosting production by one million barrels daily through joint efforts,” Novak was quoted as saying by the ministerial press service. “The countries speak in favour of creating stable and predictable rules of the game in the oil sector,” the Russian minister said. The two ministers also discussed further regulation of production within OPEC+ agreement framework and cooperation between the two countries in sectors of the fuel and energy complex. The surprise visit came after media reports claimed Russia and Iran have reached a deal to circumvent the latest round of US sanctions scheduled to go into effect in the beginning of November. 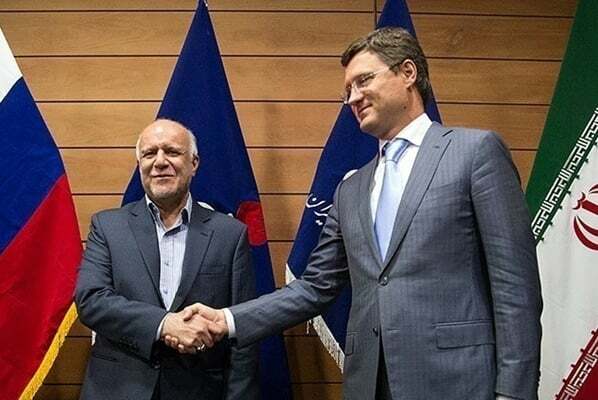 The agreement contemplates Iran supplying its crude oil to Russia through the Caspian Sea to be thereafter exported worldwide, Israeli media reported Sunday. It is not yet clear what form of compensation Russia will pay to Iran for the oil supply, but it will likely be through trade and service benefits. US President Donald Trump slapped a first round of sanctions on Iran in August after pulling out in May from the 2015 international deal, to the dismay of his European allies. A second round of its illegal measures is due on November 4 to target Iranian crude oil and banking.